Today, Ubisoft announced that Watch_Dogs 2, the newest installment in the blockbuster Watch_Dogs franchise, will be available worldwide on November 15 for the PlayStation 4 computer entertainment system, Xbox One and Windows PC. 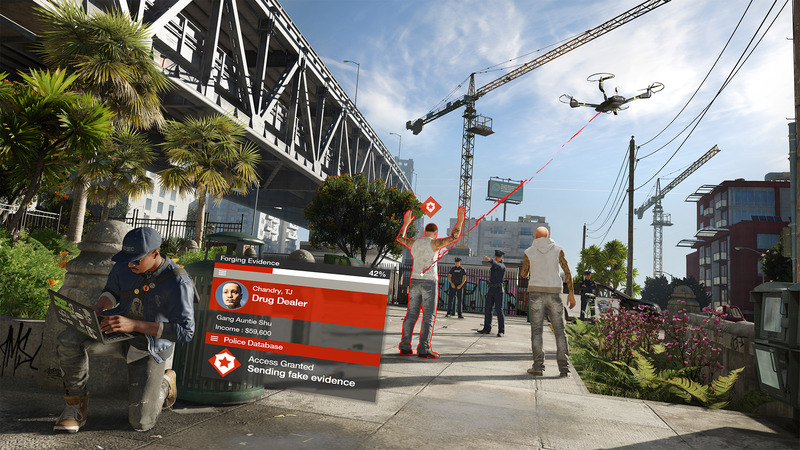 Watch_Dogs 2 is the product of over two years of intensive development by the original creative team behind the Watch_Dogs brand. Players enter a massive and dynamic open world environment set in the San Francisco Bay Area. It is the latest city to adopt ctOS 2.0, an advanced operating system networking the city infrastructure, and in the wrong hands, ctOS 2.0 can be used to invasively control and manipulate everyday citizens. Players will explore the birthplace of the tech revolution as Marcus Holloway, a brilliant young hacker who has fallen victim to ctOS 2.0’s predictive algorithms and is accused of a crime he did not commit. In Marcus’ quest to shut down ctOS 2.0 for good, hacking is the ultimate weapon, and players can not only hack into the city’s infrastructure but also every person and any connected device they possess, to trigger unpredictable chains of events. With the ability to take control of drones, cars, cranes, security robots and much more at their disposal, players can choose whether to use stealth hacking to complete missions without killing a single enemy or go guns blazing for a more ferocious approach. In this vast open world, players can hack their way through traffic while engaging in dangerous car chases through the winding streets of San Francisco, traverse the rooftops of the vibrant neighborhoods of Oakland and infiltrate the offices of cutting-edge companies in Silicon Valley. Deluxe Edition includes the Game and the Deluxe pack of digital customization items. Gold Edition includes the Game, the Deluxe pack of digital customization items and the Season Pass. Players can pre-order the Collector’s Edition – with either the Standard, Deluxe or Gold Edition of Watch_Dogs 2 – on the Uplay shop and receive the exclusive Wrench Junior robot, a motorized and endearing companion, controlled by an app available on smartphones or tablets. Players who pre-order any edition get an extra mission named Zodiac Killer: An unwanted ghost of San Francisco’s past has resurfaced after fifty years. While completing the mission, the player unlocks an additional exclusive outfit.